The Scottish Cities alliance will reveal its biggest investment to date worth more than £10bn. More than £10bn of potential investment opportunities across Scotland are being launched at the V&A Dundee. The Scottish Cities alliance will reveal its biggest investment prospectus to date with ventures worth more than £10bn across Scotland's seven cities. The alliance, a collaboration between the seven cities and the Scottish Government to promote Scotland's economic potential worldwide, has helped boost Scotland's economy by more than £125m since being set up in 2011. 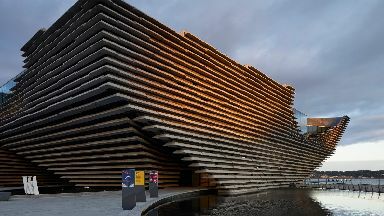 Investment opportunities highlighted in the prospectus include the Clyde Gateway scheme in Glasgow, the growing Inverness Campus, Edinburgh's Bioquarter, Aberdeen's Queen's Square and the Dundee Waterfront project which led to the creation of the city's V&A. Alliance chairman, Dundee councillor John Alexander, said: "I am delighted to launch our biggest and best investment prospectus to date, featuring billions of pounds of potential investments across our seven cities. "The propositions featured in the new investment prospectus offer investors many opportunities in a broad range of sectors to work with our vibrant and modern cities. "By working together, Scotland's cities are being showcased on a global stage, highlighting the fact that we have world-class resources such as one of the most highly educated workforces in Europe, competitive tax policies, a reputation for innovation and a strong international brand." He said he hoped the opportunities would "attract further significant investments from around the world". Transport, Infrastructure and Connectivity Secretary Michael Matheson said: "By working collaboratively through the alliance, our seven cities have demonstrated over the past year they can be highly successful in attracting international investors to Scotland. "The new alliance investment prospectus can only raise Scotland's profile and build on that success, demonstrating once again the great investment potential Scotland's cities can offer and their drive to succeed."